Greeley Hill, California - July 28, 2008- Wildfires Threaten Yosemite National Park .Dozer moves down Division M of Branch Three of the Telegraph Fire Monday afternoon. This part of the fire is on the north side of the Merced River and is heading toward the community of Greeley Hill. 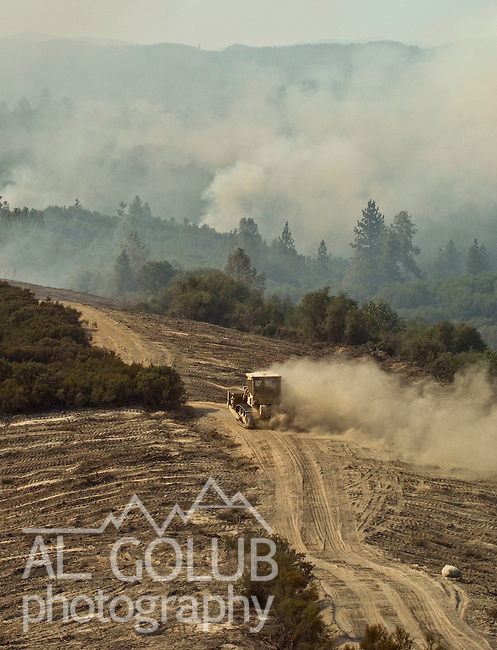 .Photo by Al GOLUB/Golub Photography.